Does your business require a team of close protection officers in Luton? SFM UK Ltd’s team of close protection officers are the ideal solution if you require highly trained and expert security personnel to protect your clients, visitors, and employees. We can provide you and your business with a cost-effective and reliable security solution. Perfect for when you require close protection officers to safeguard your high-risk business personnel and VIPs. At SFM, we specialise in looking after high profile clients. This includes a range of businesses in Luton, Bedfordshire and across the UK. 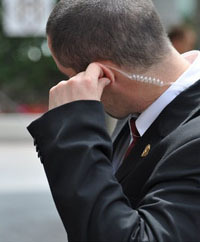 Our close protection officers are professional, discreet and experienced. We select our officers from a highly dedicated team with model military and service backgrounds. Our close protection officers have a proven track record of dealing with high profile clients. Whether they are on the move, at home or working at a specific location or event. We work closely with each of our clients to fully understand their business requirements. Close protection officers available worldwide. Furthermore, they can also be contracted on a per operative, per hour basis. Either on a full-time or part-time basis. Each of our close protection officers in Luton and across our other UK and European locations are fully SIA licensed and vetted. So you can be safe in the knowledge that you are receiving the highest levels of protection at all times. 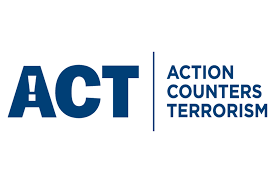 If you require close protection officers in Luton to help to protect and defend your clients… We can help to tailor a solution to suit your business needs. Our friendly team is waiting to speak to you, call them today on FREEPHONE 0800 8100 946.